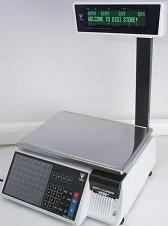 We sell and service the NBI Digi SM-110 Post Service Scale Printer. Easy and quick loading of receipt or label. Direct thermal/high speed thermal printer. Ethernet interface for data updating (WLAN Optional).